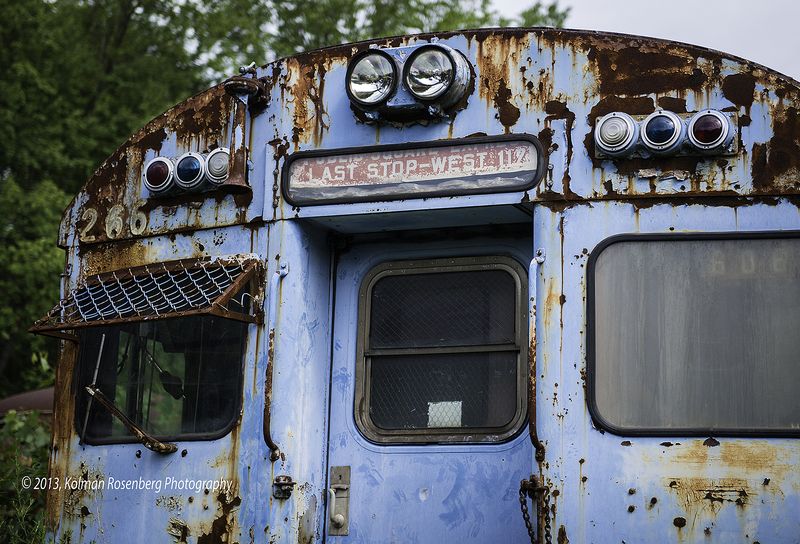 Another recent photo safari with a fellow photographer friend led us to the Northern Ohio Railway Museum in Seville, OH. I’d seen photos taken here by other photographers and it warranted a trip to see what I could get! 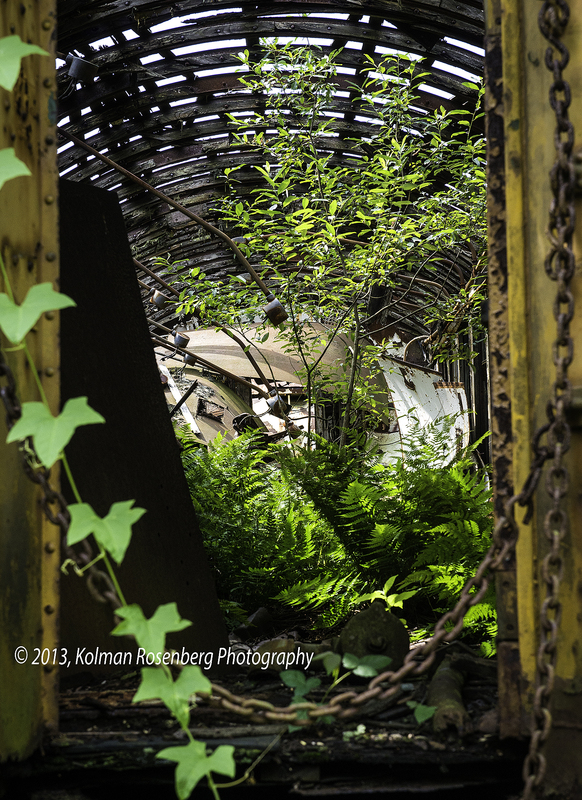 The facility has a number of large railway sheds for restoration work, but outside, buried in weeds and weathered by the elements stand many old trolleys and rapid transit cars from Cleveland and elsewhere. For many of the cars, this museum and restoration facility will truly be the last stop! A rather large group of volunteers work to restore many of these trains and trolleys. Seeing the state that some are in and then some of the restoration work being done in the sheds, it is absolutely amazing! Perhaps some will see a new life on display somewhere! Others though, seem beyond repair! This particular car seems to have lost it’s roof some years ago and now looks more like a open air greenhouse than a vehicle which once rode the rails! 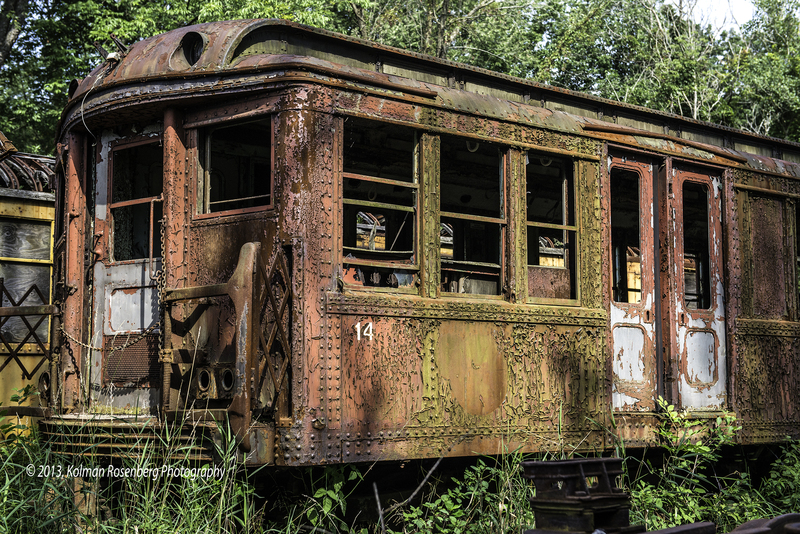 This entry was posted in Uncategorized and tagged Cleveland, history, northern ohio, Nostalgia, OH, ohio, railroad, railway, Rapid, restoration, restore, rust, track, Transit, Transportation, trolley. Bookmark the permalink. Thanks Dave! It was quite an interesting place to shoot some photos!